CINCINNATI -- The Ohio Supreme Court declined to hear an appeal in the family feud over one of the Midwest’s largest beer distributorships. 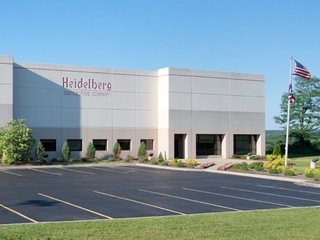 Wednesday's decision means the legal battle between brother and sister co-owners of Heidelberg Distributing Company, which has left the company in limbo for nearly three years, is finally over. Unhappy with a 2016 Ohio Court of Appeals ruling that sided with her brother, Carol Miller asked the state’s highest court to review the case in March. Now that the Ohio Supreme Court has finally weighed in, this means that the appeals court ruling favoring Miller’s brother, Albert Vontz III, stands. The case will return to Hamilton County Court of Common Pleas Judge Steven Martin, who will oversee the election of a new company board of directors. He set a court hearing for Friday. Heidelberg is the nation’s 14th largest distributor of beer, wine and spirits, serving 26,000 retailers in Ohio and Kentucky. It has nine warehouses and offices and 1,600 employees. Heidelberg is the nation's 14th largest distributor of beer, wine and spirits. It is unclear how the court’s decision will affect the company: whether the two sides of the family will be able to make decisions jointly, or if they will split up the company. Before the lawsuit was filed, both sides met with a family business counselor. Then talk turned to a buyout offer for Vontz, but they couldn’t agree on a price. So the family feud ended up in court. This case offered a rare glimpse into a large family business that was fraying. It also showed what could happen when two siblings each own 50 percent of a company’s voting stock and can’t agree. It began as “one man, one truck” when Albert Vontz, a young German immigrant, arrived in Cincinnati in 1907 as a trained brewer. He drove 60 miles each day from Covington to Dayton to deliver beer. His son, Albert Vontz II, expanded the company, acquiring the rights to distribute Anheuser-Busch products. He was the sole leader of Heidelberg, and when he died in 2002, he left his voting shares equally to his two children, Vontz III and Miller. The siblings began fighting in late 2010, soon after their mother, Esther Vontz, died. After years of trying to solve their differences, Vontz sued his sister, her husband and her three children, who all hold offices at Heidelberg, in December 2014. Vontz claimed his sister's side of the family had taken control of the company. The two sides hashed out their dispute in court, trading accusations of laziness, manipulation and frivolous spending of company money with extravagant bonuses and country club memberships. “He (my father) would be rolling over in his grave right now if he saw what was going on,” Vontz testified at the September 2015 trial. Vontz had long argued for more seats on Heidelberg’s board of directors. He has one seat, and the other five are occupied by his sister’s side of the family: Miller; her husband Vail Miller Sr., who is co-chairman of Heidelberg; and their children, Brooke Miller Hice, the chief legal officer; Vail Miller Jr., who is CEO; and Michael Miller, vice president of sales and marketing. “As you can see, there are five of them and one of Mr. Vontz,” said Vontz’s attorney, Jim Burke at trial, after pointing out Miller family members in the courtroom. Afterward, Miller and her family appealed the ruling to the Ohio First District Court of Appeals -- which also sided with Vontz. The appeals court ruled an injunction was necessary to give Vontz a bigger decision-making role at Heidelberg, finding that Miller had manipulated company regulations in order to suppress her brother’s voting rights. But the appeals court also ruled Miller could not be forced to attend a shareholder’s meeting so she and her brother could vote on new board seats. The court suggested an injunction be reworded so that if Miller chose not to attend a meeting, then Vontz, as the only other shareholder, could still vote and the quorum would be met. That ruling did not resolve the family feud. Days later, Miller filed a motion asking the appeals court to reconsider its decision. Then she asked the state Supreme Court to weigh in. In the meantime, some company business has been on hold. The family has not been allowed to make any major changes to the company -- including key personnel changes, incurring new debt or making acquisitions. In fact, Martin ordered Miller’s three children and her son-in-law in July to repay the quarterly bonuses they had received from the company because it was not allowed under his stay order. But Martin did allow Vontz to hire his son, Albert Vontz IV, at a $104,000 annual base salary.